To get you excited about next year's reissue of Mad Season's Above, Monkeywrench Records has created a special release for Record Store Day, November 23rd. 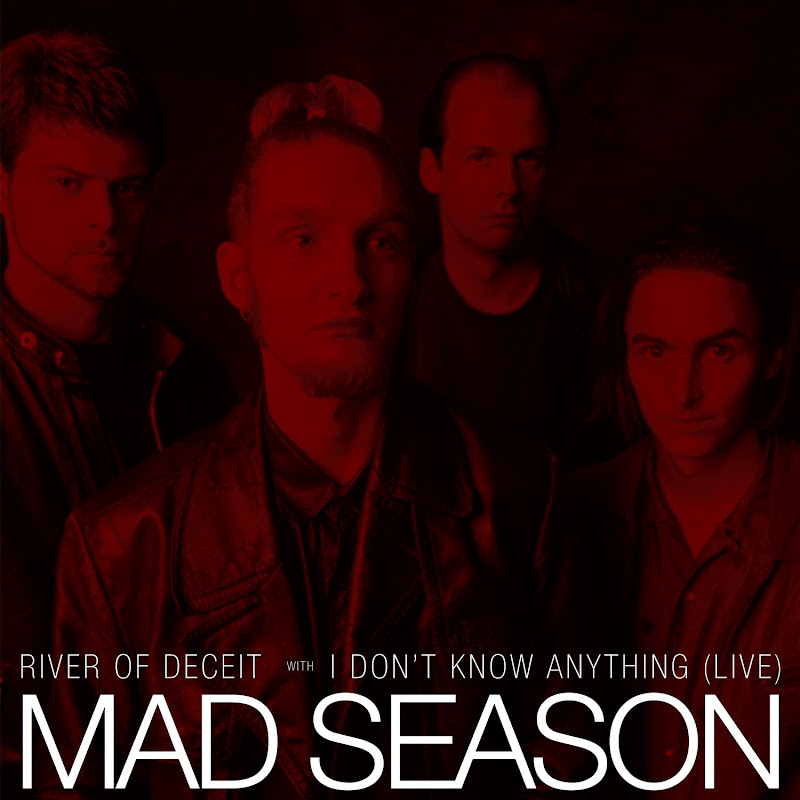 "River of Deceit"/"I Don't Know Anything (Live)"
Limited Edition 10", colored vinyl single from Mad Season, an American rock supergroup formed in Seattle, Washington in 1994 by members of three popular Seattle-based bands: Alice in Chains, Pearl Jam and Screaming Trees (Barrett Martin, Mike McCready, John Baker Saunders and Layne Staley. Mad Season released only one album, Above, and is best known for the single "River of Deceit". Check out the full list of Record Store Day releases here.